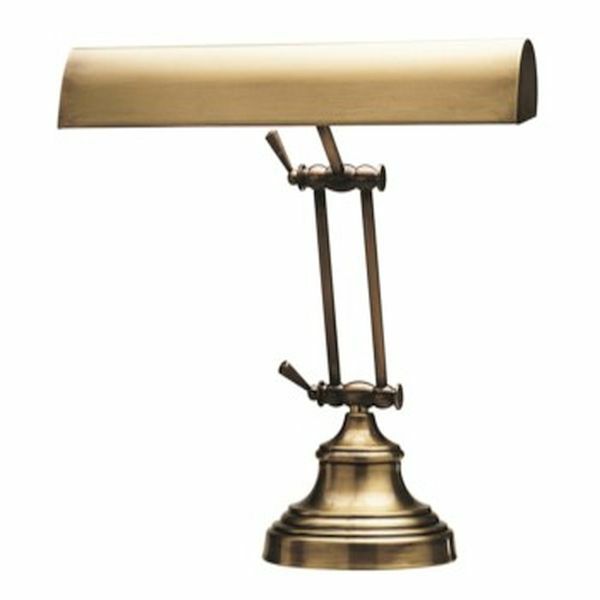 House of Troy piano lamp with Dual Controls for more flexibility in Elegant Antique Brass. Spinet, Console or Full Size Upright pianos from 36" to 56" high. Christmas shopping for a piano lamp can be tedious until I found the Antique Brass lamp L-41100 On Sale. Nice product. Just what we needed. Adjustable and plenty of lighting. Free Shipping was the deal maker. It arrived in time for Christmas and my wife is very happy. She can see. The lamp is lovely and perfect for my antique upright piano. It arrived safely. I am very happy with my choice.